As the outlook over the euro darkens, governments in the Asia-Pacific are moving to limit the damage. If Italy fails to meet its sovereign debt commitments falling due in January and February, then the world may finally witness the doomsday economic scenario many fear is looking inevitable. Markets can expect the worst, hyperinflation may beckon, jobs will go and the precious euro will be compromised. The Australians have cut interest rates as a pre-emptive strike to minimize the potential impact, and the Asian Development Bank (ADB) has cut its growth forecast for the 10 member ASEAN bloc and the rest of East Asia, warning the economic crisis in Europe is threatening to punish global growth. In trimming its outlook for growth in 2012 to 7.2 percent from 7.5 percent for East Asia (minus Japan) it described the forecast as “cautiously optimistic,” but also warned the Association of Southeast Asian Nations, China, Hong Kong, South Korea and Taiwan a far more dire situation was possible. If this was to occur, then economic growth for East Asia including Japan could fall to 4.2 percent from its previous forecast of 5.4 percent, a scenario it insists remains serious but manageable. This still looks optimistic even with the ADB arguing that increased intra-regional trade and domestic consumption would go some way in offsetting the fiscal storm blowing from the West. But in having a bet each way, it said the outlook was subject to much greater downside risks than just a few months ago. “Emerging East Asia must be prepared for a prolonged crisis and a weak post-crisis recovery by implementing appropriate short-term macroeconomic responses and pursuing necessary long-term structural reform,” the ADB said in a regional economic update. Growth in ASEAN’s four middle income countries – Thailand, The Philippines, Malaysia and Indonesia – was expected to range between 4.5 and 4.9 percent over the year if governments act decisively and collectively. This would require government spending to maintain growth, working in tandem with vigilant central banks tasked with keeping inflation down. Otherwise, the region could be hit by capital outflows that would punish regional share markets and erode consumer confidence and domestic spending. Tighter global credit would follow and whittle back bank lending while increasing the cost of borrowing. 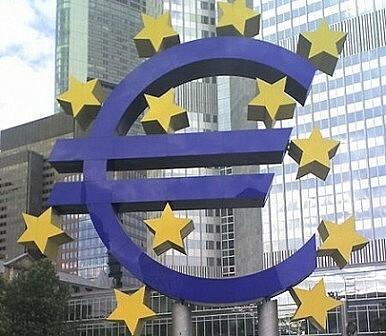 The mood enveloping regional central banks and governments following the latest financial debacle in Europe is cautious as opposed to anything that could be described as a near panic. That, like the debt crisis that has unfolded in Europe and the United States over recent years, could change too. What's Behind Southeast Asia's Developmental Miracle? A closer look at comparative transitions between Southeast Asia and the Middle East can help us understand the forces behind this development. ASEAN a New Opportunity for the Eurasian Economic UnionWhat Hong Kong Reveals About ASEAN’s Economic FutureBeware ASEAN’s Coming Economic Gloom How Safe is ASEAN from Global Economic Turmoil?Will ASEAN Forge an Economic Community By 2015? Wrong Question.